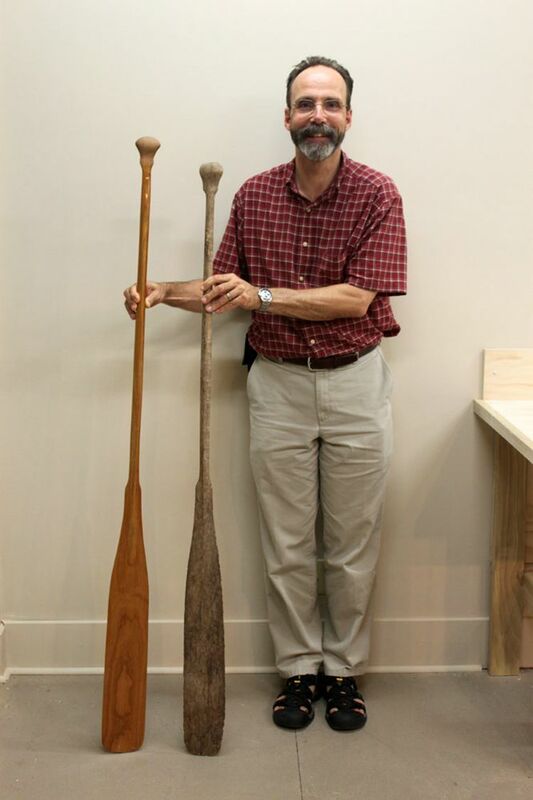 John Summers, the General Manager at the Canadian Canoe Museum, wrote a post on his blog about carving a paddle design by legendary Peterborough area builder, Walter Walker. Apparently Walter had a favourite shape that was based on a late 19th century pattern from the Lakefield Canoe Company. It featured small shoulders at the top of a straight sided, narrow blade, as well as a pear grip with smaller shoulders at the base. 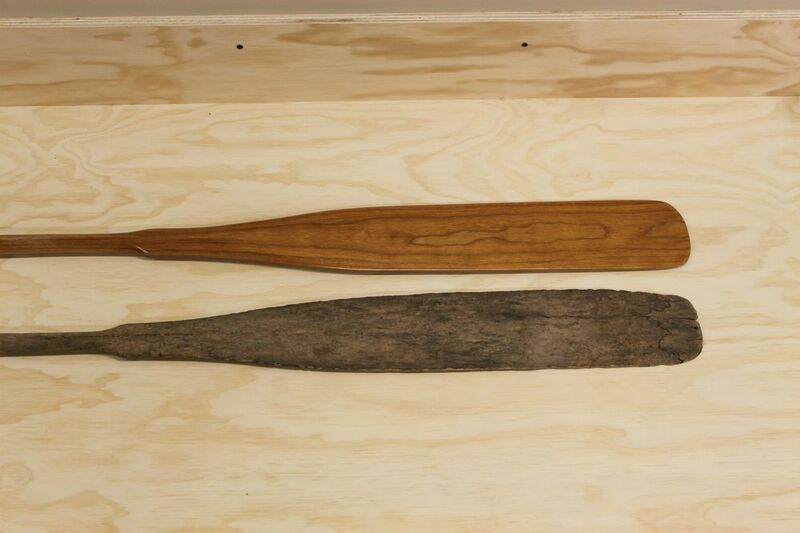 Also found in Walter’s workshop was a split, weathered paddle apparently carved from birdseye maple. It had longer, curved shoulders at the top of the blade but features the similar style grip as the Lakefield Co. pattern. 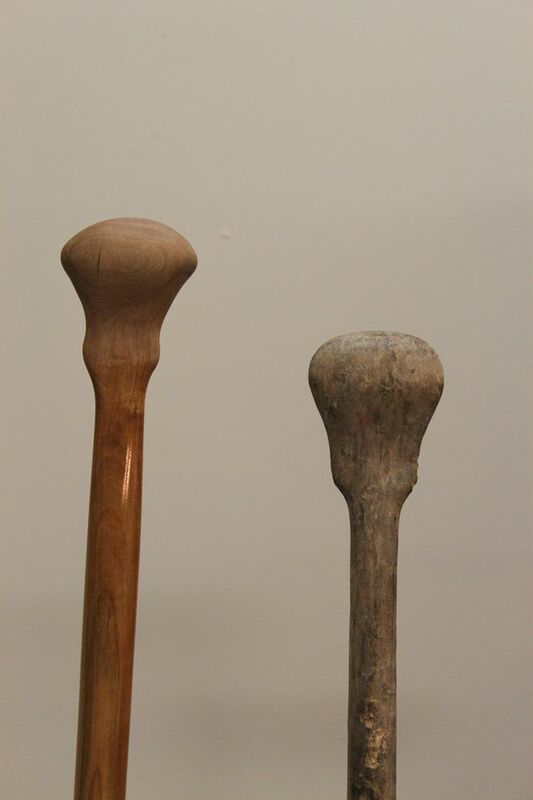 John ended up carving a replica of this (adjusted to his preferred length) out of cherry. The museum apparently has a new display devoted to Walter's work - another reason to make the trip out to Peterborough again. Walter was actively building canoes until he turned 99 and carved his last paddle at 101!